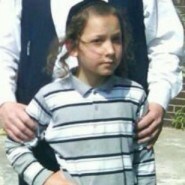 Shimon Zorger, a 10-year-old autistic child from Brooklyn who arrived for a visit in Kiryas Yoel, was missing since Sunday afternoon and was found exhausted in a forest on Monday. He was located after widespread searching by a combination of 100s of volunteers and large numbers of policemen. There are those that claim the Rebbe of Rimanov, about whom it is said that he scetched the map that led to the location of the child Leiby Kletzky z”l, was also involved in this case. The Rebbe’s personal driver and his family confirmed the story. Yoel Weisshaus, the Rebbe’s driver, revealed his version of the story to “B’Chadrei Charedim”: “This Sunday, early in the evening, I drove the Rebbe and his sons to Monsey, to close a match for the Rebbe’s oldest son with the great-granddaughter of Rabbi Vozner, the Shevet Levy. When they arrived at the home of the family of the Rebbe’s future daughter-in-law, the father of the bride and their guests greeted the Rebbe. Suddenly an urgent phone call arrived from Shlomo Shtuber, a resident of Kiryas Yoel who is close to the Rebbe. In the conversation he explained that in light of the success of the Rebbe in the Kletsky case, they hoped that also now he could help them find Shimon Zorger. “I drove the Rebbe back, and then at 2 AM the child’s aunt called again, and the Rebbe decided ‘We’re driving to the house of the missing child, Shimon,’ while he continued to assure the family that the child is alive. Please- Can the Rebbi find Caroline Karimi? Can the State trooper who found the boy confirm that he used the Rebba’s sketch to locate the child? Explain to me how this isn’t adovah zarah. Goral ha Gra uses the Torah, which makes sense (ha!) because the Torah has all information about all Jews for all time. But using the Baal Shem Tov’s book? C’mon. Well, that goes back to the fundamental question of whether you believe Chassidut is avoda zara, or a modern expression of the Oral Torah combined with Kabbalah. In my opinion, it would be pretty audacious to say that the thousands of Talmidei Chachamim– who certainly understand more about the intricacies of Torah than myself, and possible than yourself– that they are involved in avoda zara. Torah is Torah, the Baal Shem Tov came from a very pure place in Torah. Obviously anything and everything can be abused, but it would be quite the accusation to say that the Rebbe, totally accepted by the Torah world, is involved in avoda zara. Yael, surely using the book of a Tzaddik whose vision was clearer than our own is not Avodah Zarah? By using it, there is no statement that one is serving him, in my eyes it is utilizing the extra-sensitive vision that the Tzaddik has…no? My name is written as Yoel Weisshaus not Veeshaus. Yes the rebbe to responds to calls of missing persons all the time. Thanks for your comment! 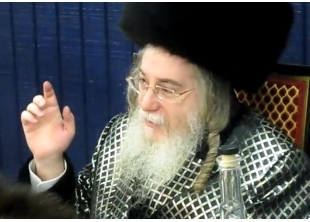 How can people get in touch with the Rebbe to locate missing persons? I saw the rebbe years ago in boro park regarding a shidduch I was involved in and a court case where the people that owed me money wouldn’t come to beit din…. I forgot the rebbes address and number, I wanted to make an appointment to see him…can you provide me with them? Thank you! I find it difficult to understand how finding leiby z”l AFTER his murder can be viewed as a success on this Rabbi’s part. If he is able to truly do this, why did he not find him sooner when he was still alive? Jewgirl,that is just sick! A decree in heaven to have a child dismembered?! You’re insane! There was no such “decree” – people have free choice, even evil people who hurt children! Don’t blame Hashem for such disgusting choices. And some crackpot claiming to be the mouthpiece of G-d doesn’t make it so.